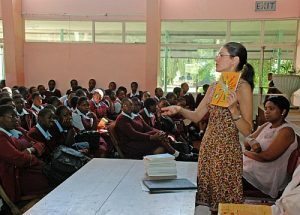 In Harare, Zimbabwe, Sharon Hudson-Deane speaks to 400 high school girls about Women’s History Month. This is the second in a series of factual updates about United States public diplomacy and broadcasting. You’ll find a link to each of these on our Advocacy page. 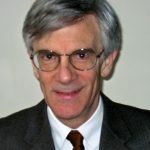 Commentators writing about public diplomacy usually focus on official statements or broadcasting or educational exchange because it is easy to find information about those topics. Overseas operations touch their intended audiences in nearly 200 nations around the globe. Yet assessing their impact from Washington is difficult. Public Diplomacy Sections in most embassies and consulates bring media relations, exchanges, and other PD programs together through personal contact with their audiences. Most PD professionals consider this to be the heart of public diplomacy. Public Diplomacy Sections in 189 U.S. embassies, consulates and other missions translate and personalize the United States’ message for local audiences. Supported by about 850 employees in the United States, these mission staff members focus their activities around goals and objectives set by their embassy and the Department of State in a formal planning process. Representation to local and international media, focused on issues of concern in the host country. This is carried out in collaboration with the State Department’s Bureau of Public Affairs, which is not included in the cost and personnel figures above. Activities that inform and influence local audiences in support of U.S. foreign policy. Direction and management of U.S. exchange programs that involve nearly 55 thousand American and foreign participants per year and cost an additional $634 million. Grants to local organizations that conduct programs in the interest of the United States. Public diplomacy field operations make a notable contribution to the United States’ influence around the world. Here are some gross numbers (compiled in 2018) that indicate what Americans get for their taxpayer dollars. One in three world leaders has participated in a U.S. Government exchange program. Many program alumni stay in touch with counterparts they met during their programs, and they collaborate actively with the embassy or consulate in their home country. More than 10 million teachers and learners of English make use of U.S.-sponsored programs. English is the gateway to understanding U.S. culture, government and foreign policy. In 2017, a million foreign students contributed almost $36 billion to the U.S. economy. Public diplomacy supports Education USA centers to recruit promising students. 40 million visited an American Space cultural center last year. There are nearly 700 of these centers in 169 countries. *Figures are drawn from unclassified documents published by the State Department. For a detailed look at country programs, go to the U.S. Advisory Commission for Public Diplomacy.